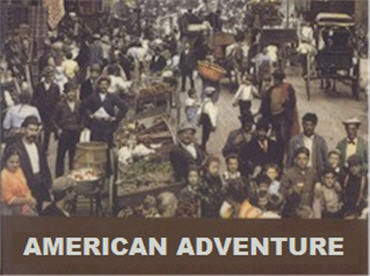 American Adventure (1955 - 1956) presents some very entertaining tales taken primarily from actual events that occurred in America's past. The shows were produced by the communications center at the University of North Carolina at Chapel Hill, and a lot of the tales are performed by the faculty, students, and townspeople from the University of North Carolina who do an outstanding job of acting. The scripts are written by John Eely, who also performs in the stories, and directed by John Clayton. The stories range from tales on a Southern Plantation in the early 1800's to building a house during The Great Depression in the 1930's. One tale is by author Sarah Randolph, grand-daughter of Jefferson. These are stories you surely will enjoy.